Texas Holdem Tournament Player enables the user to input information from online poker sites while playing live for real or play money. 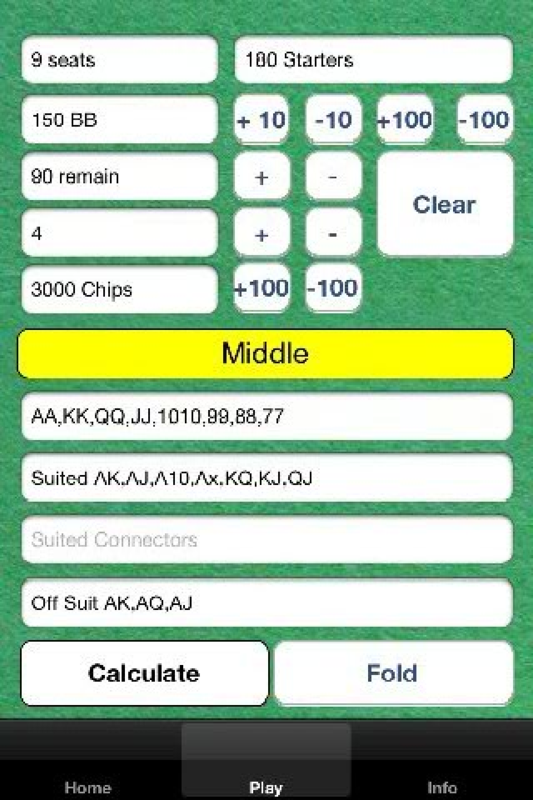 The app gives you advise about hands to play based on the stage of the tournament, your position on the table, how many chips you have, and many others. This app has been tested on the Poker Stars site, and proven to get the player to the final stages of a tournament of 180 people on numerous occasions simply be following its advise.